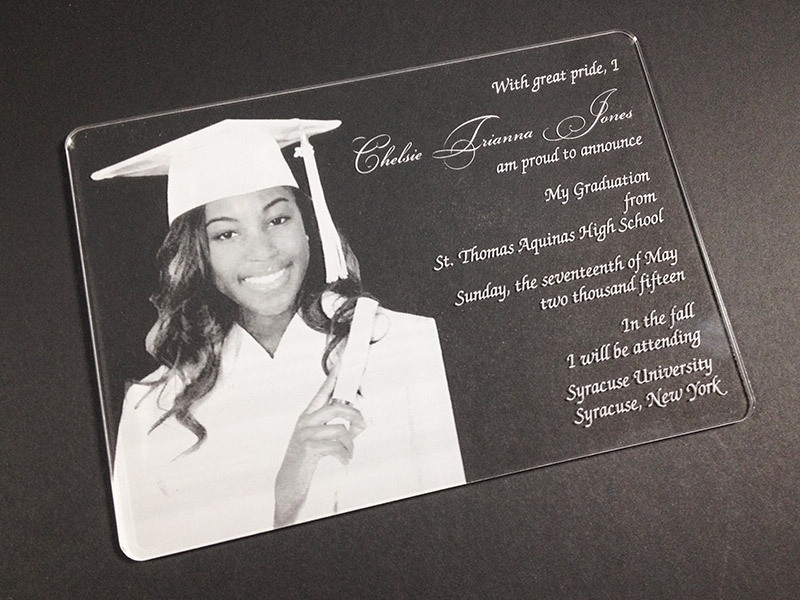 Graduation Announcement - Pure Black, Inc.
For this young lady’s graduation announcement we did a 5x7″ piece of clear acrylic with a reverse photo engrave. Came out quite nice (but kinda hard to photograph). 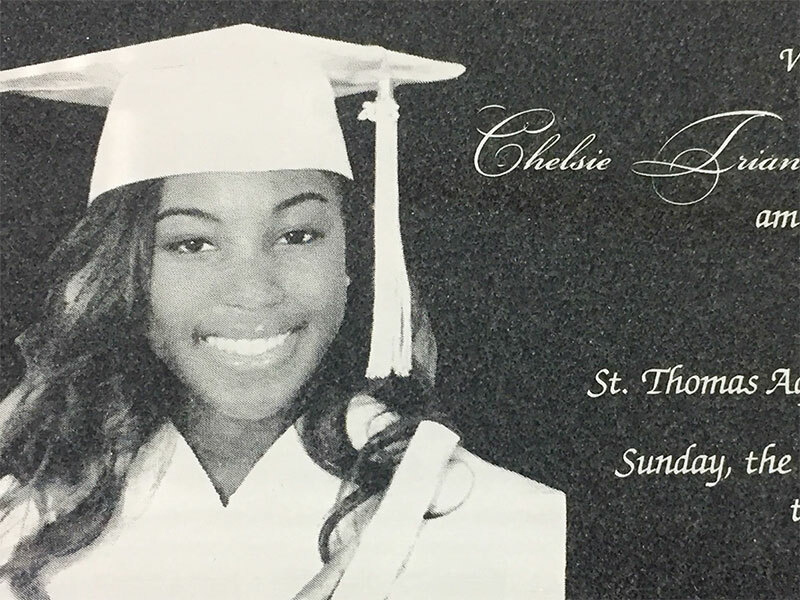 Thanks to Tammy at Paper Niche for making this happen.